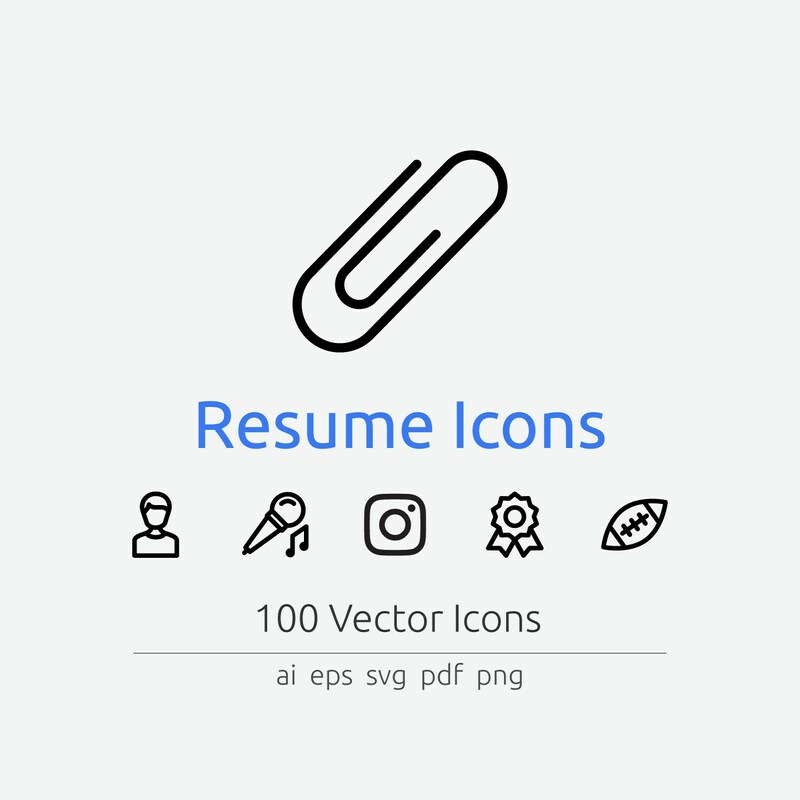 This Resume Icon Set features in total 100 vector icons optimized for resume. They come in AI, EPS, SVG, PDF, and PNG format. You can easily insert these icons in a Microsoft Word/Excel Document or add it to your design in Adobe Photoshop CC and more. You can also modify, colorize, change stroke thickness of the icons with Adobe Illustrator CC. 1. Once purchased, your files will be ready for immediate download. 2. To access your digital file(s), go to You > Purchases and reviews and look for the order. 3. To the right of the order, click Download Files. This goes to the Downloads page for all the files attached to your order. 4. There are generally no limits for when or how many times you can download a file. In most cases, you can access a file any time on your Purchases page. If your payment is still processing, the Download Files button will be gray. You are permitted to use my resources in any number of personal and commercial projects for yourself or a client you are working for. You may modify the resources according to your requirements and include them into works such as websites, applications, printed materials and others. You do not have the rights to resell, sublicense or redistribute (even for free) the files on its own or as a separate attachment from any of your work. If you wish to promote my resources on your site, you must link back to the resource page where users can find the download and not directly to the download file. If you have any questions about the License, feel free to Contact me. Have a question or need support with this product? Just as described!! Great icons. Absolutely stunning, exactly what I was looking for and more...!